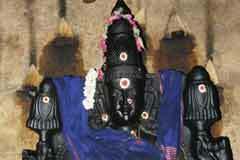 Brahmmotsavam in Panguni (March-April), Masi Magam in February-March, Thai Poosam in January-February and Pujas on all Full Moon days – Poornimas – are the festivals celebrated in the temple. 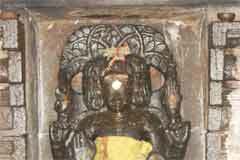 The rays of Sun fall on the presiding deity for three days during the Masi Shivrathri festival. 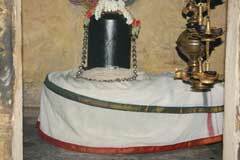 The Linga changes colour during this time. 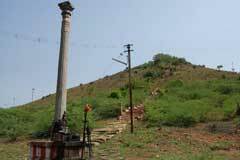 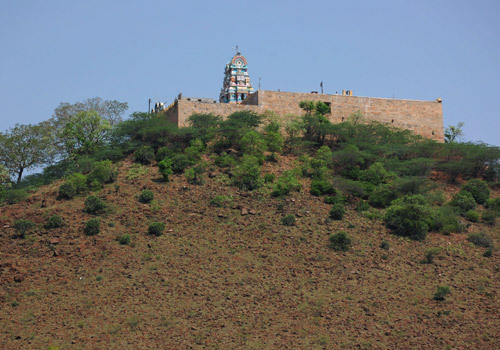 Only a few Shiva temples are on hills and one such is in Eengoimalai in Tiruchi district. 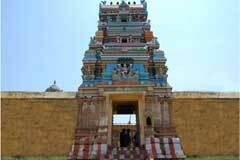 The temple is open from 9.00 a.m. to 6.00 p.m. 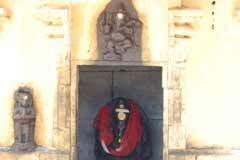 It would be convenient if the visitor informs the priest before proceeding to the temple in advance. 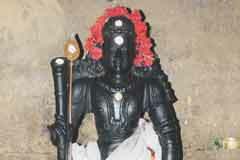 Sri Maragathachaleswarar Temple, Eengoimalai, Tiruchi district. 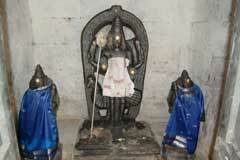 Musiri is 43 km from Tiruchi. 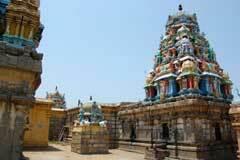 Eengoimalai temple is 7 km from Musiri which can be reached through town buses.